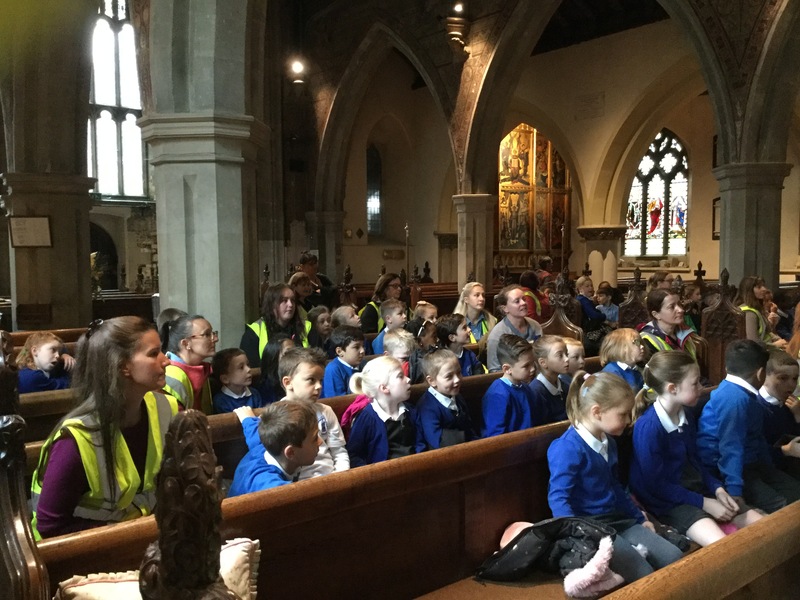 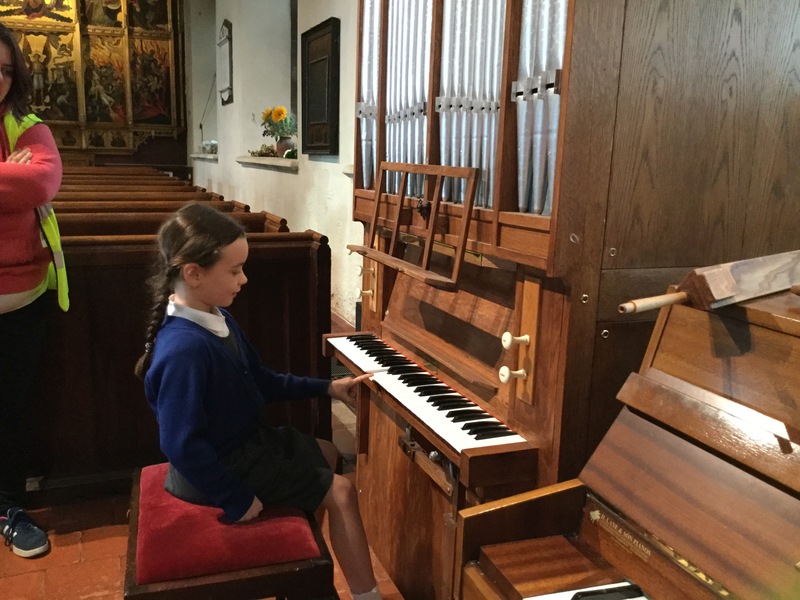 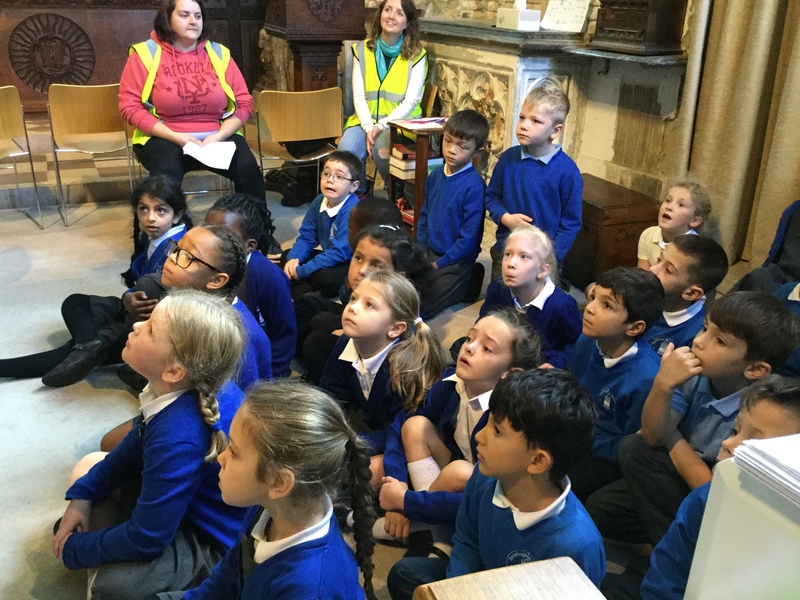 Beddington Infants' School | Visiting St Mary’s Church and playing the organ! 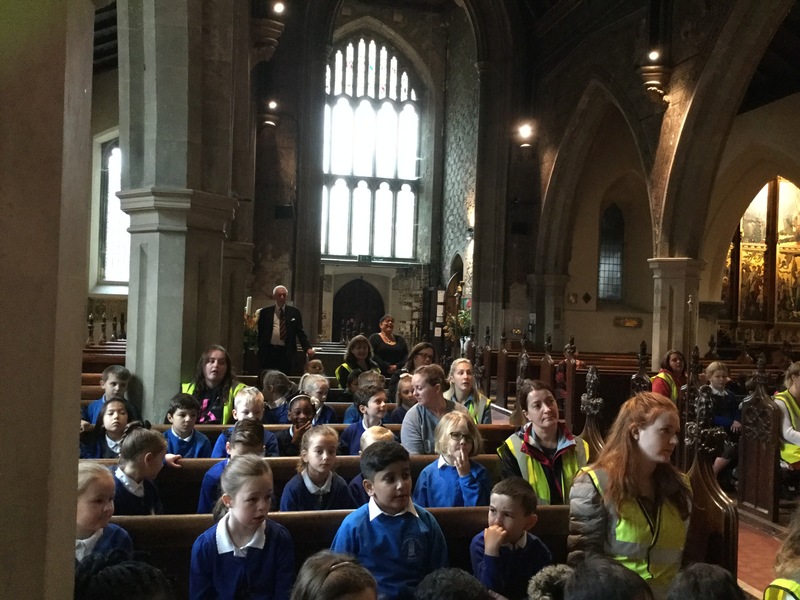 Visiting St Mary’s Church and playing the organ! 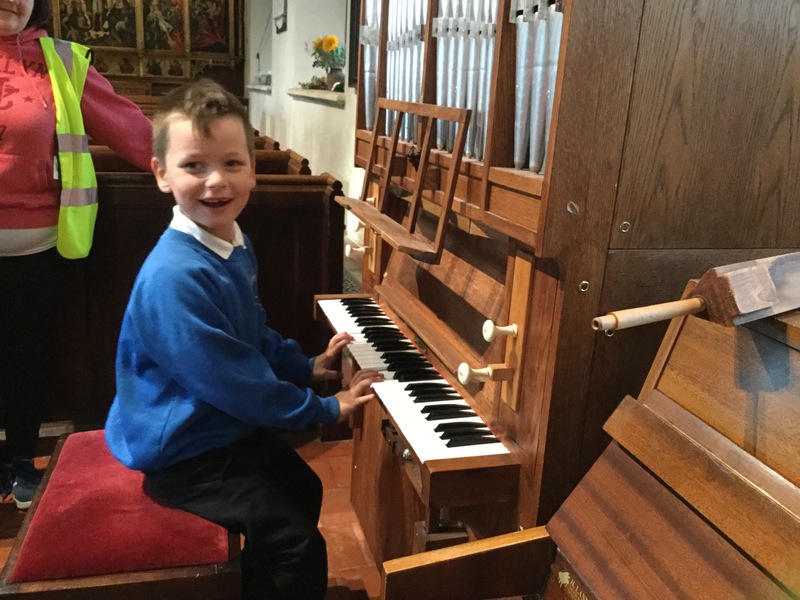 10 Oct Visiting St Mary’s Church and playing the organ! 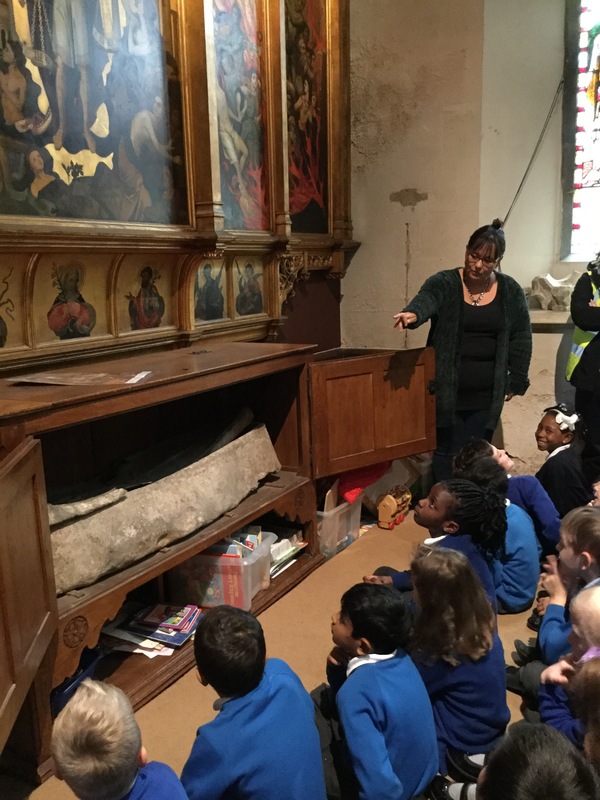 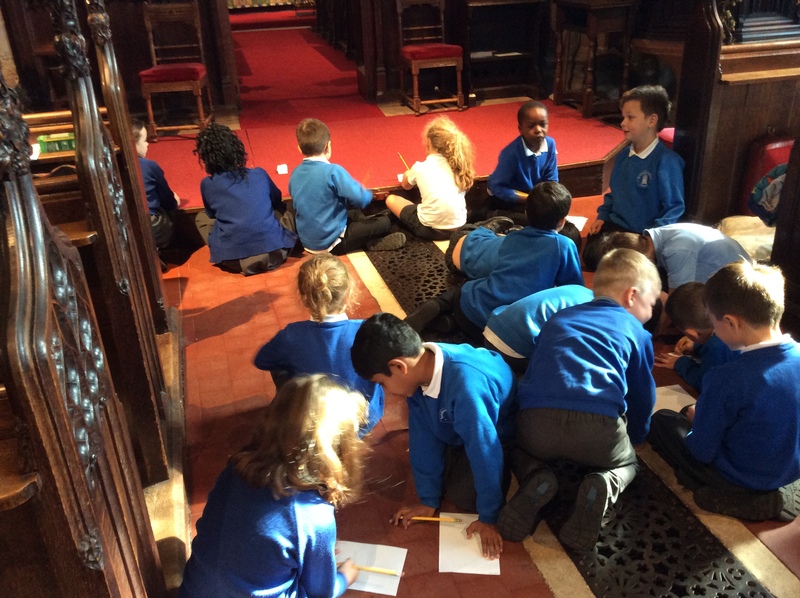 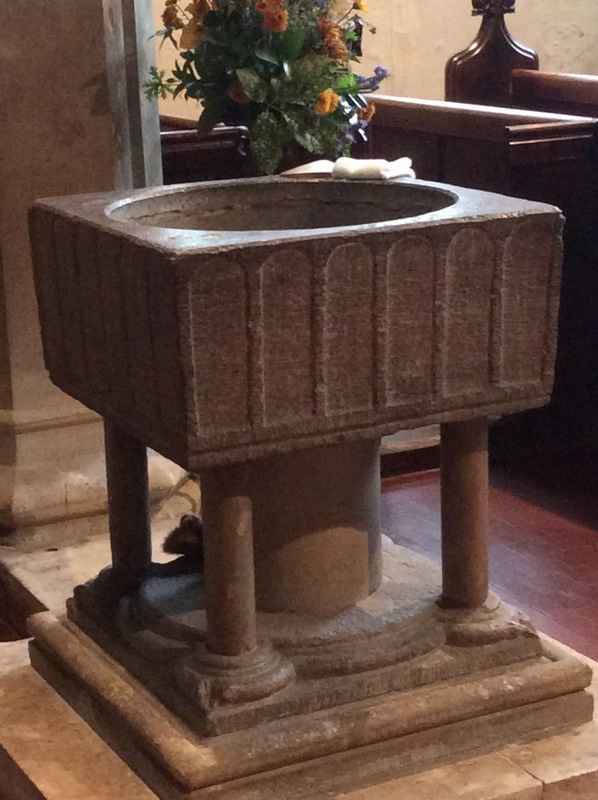 The children in Year 2 visited St. Mary’s Church. 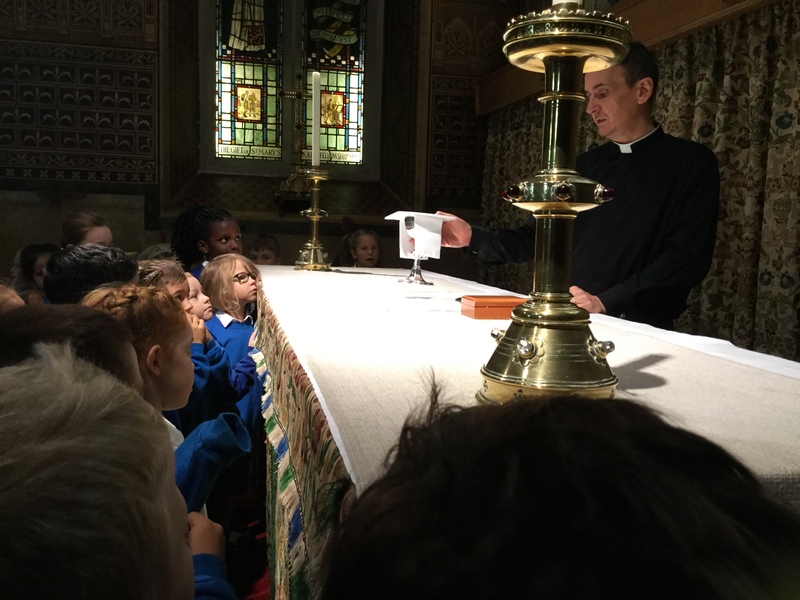 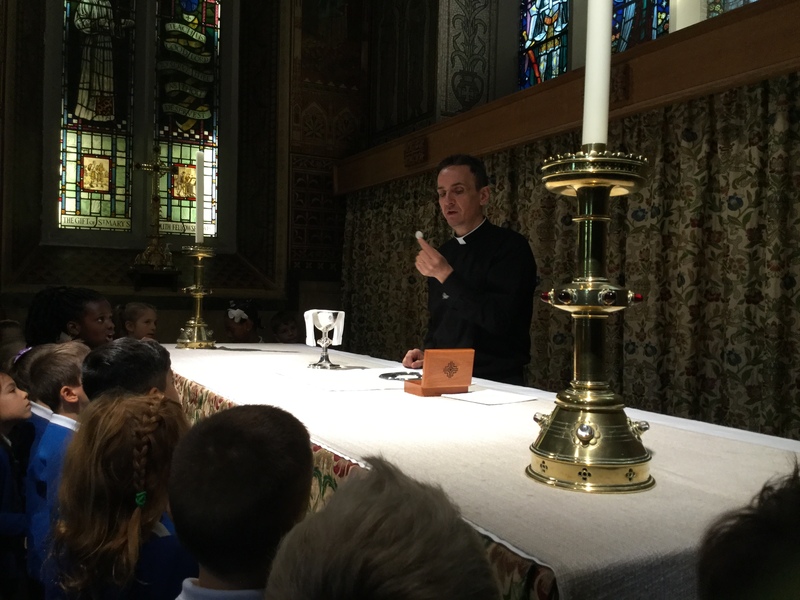 Father Fenby talked to them about how the church is used as part of Christian Worship. 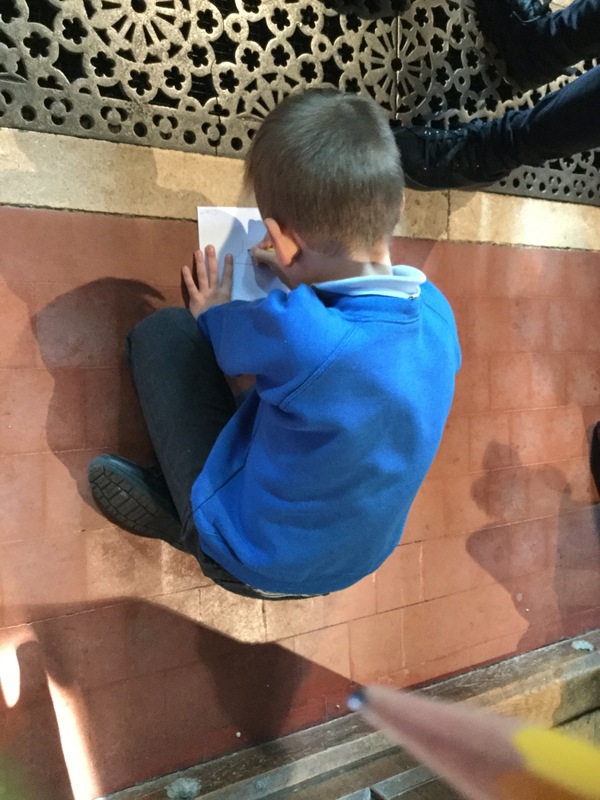 He showed them how people use all their senses when they worship. 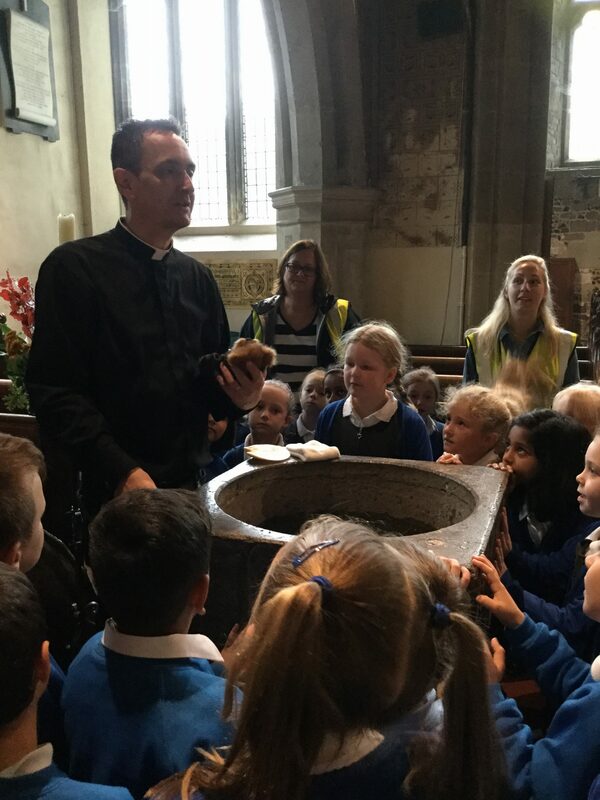 Father Fenby talked to the children about how Christians use their five senses to worship. 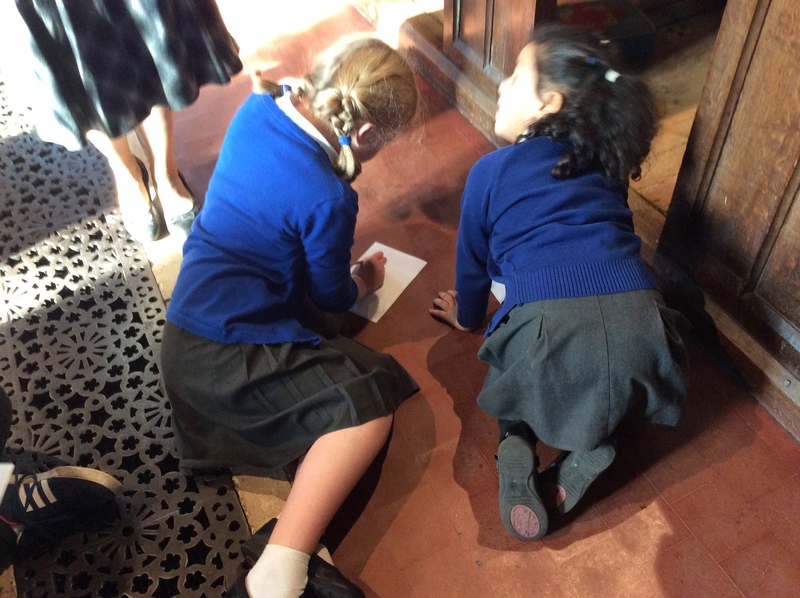 They can see the beautiful church, hear music, smell incense, touch holy water and taste bread and wine. 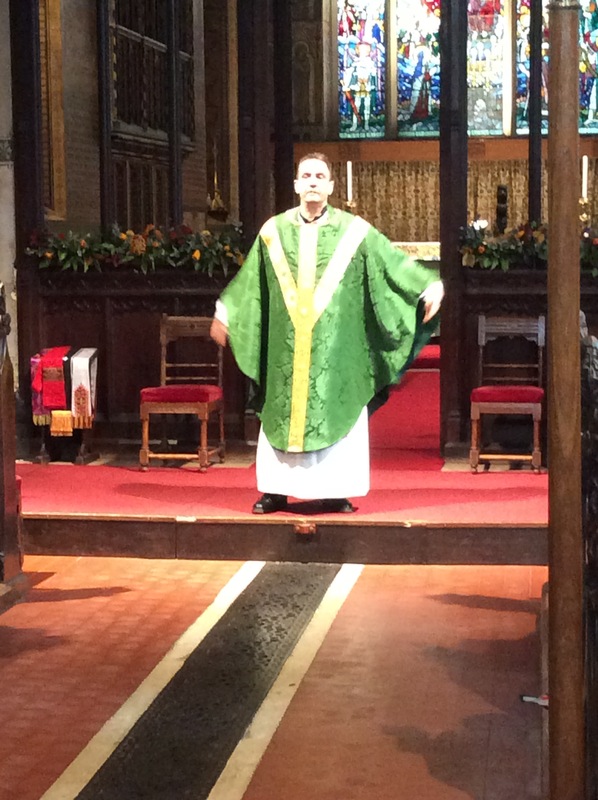 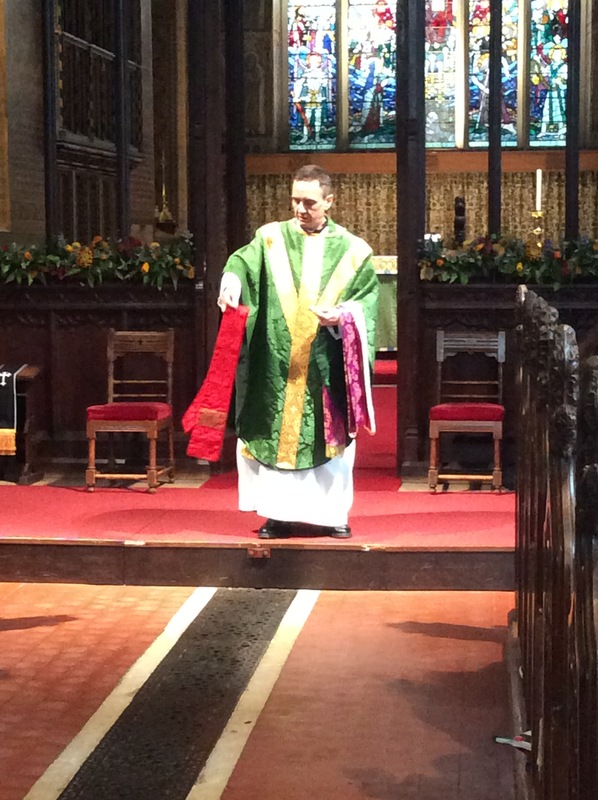 Father Fenby showed us all the different clothes he can wear during services. 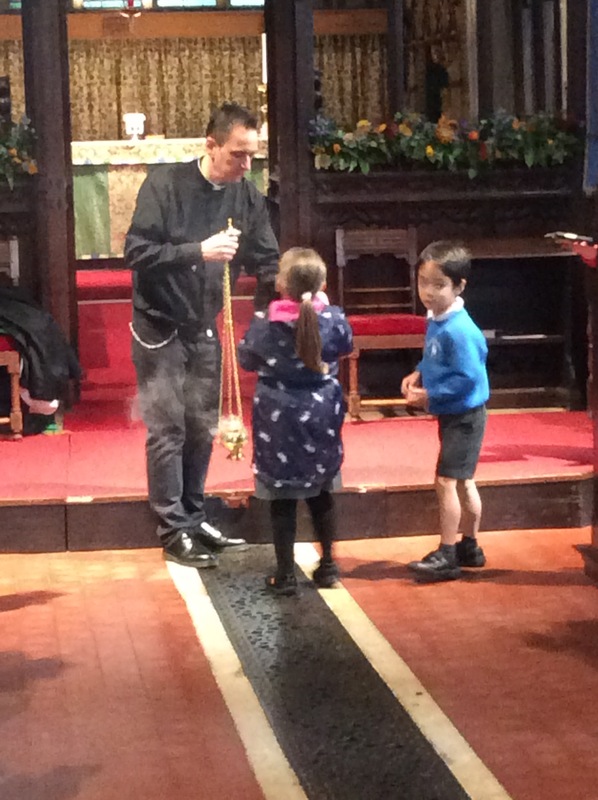 He also baptised a bear and showed us how incense is burnt. 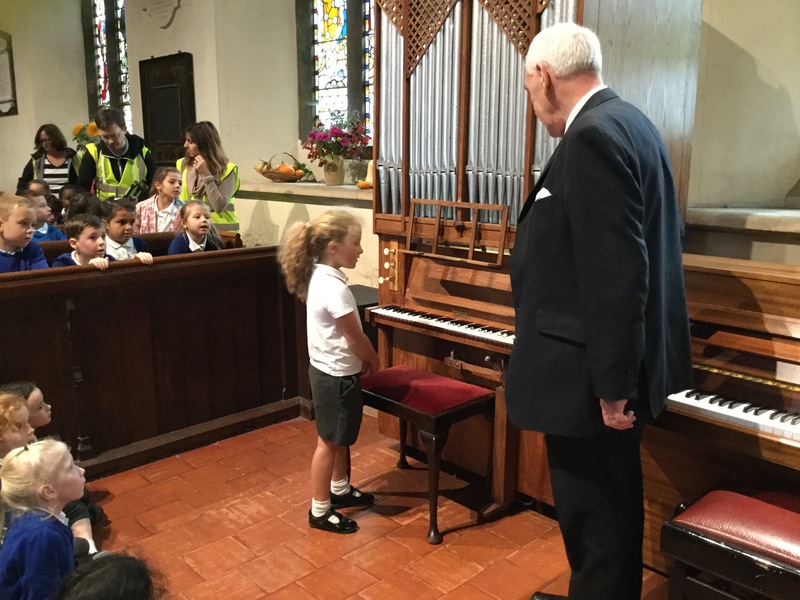 After we had learned all about the church Barry Williams explained to the children how the organ works. 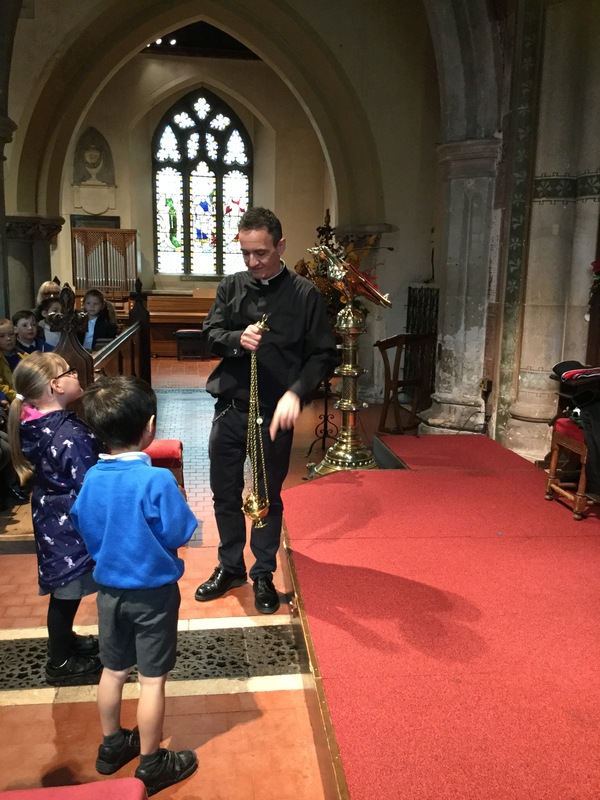 He showed the children the pipes from inside the organ and how each one makes a different noise. 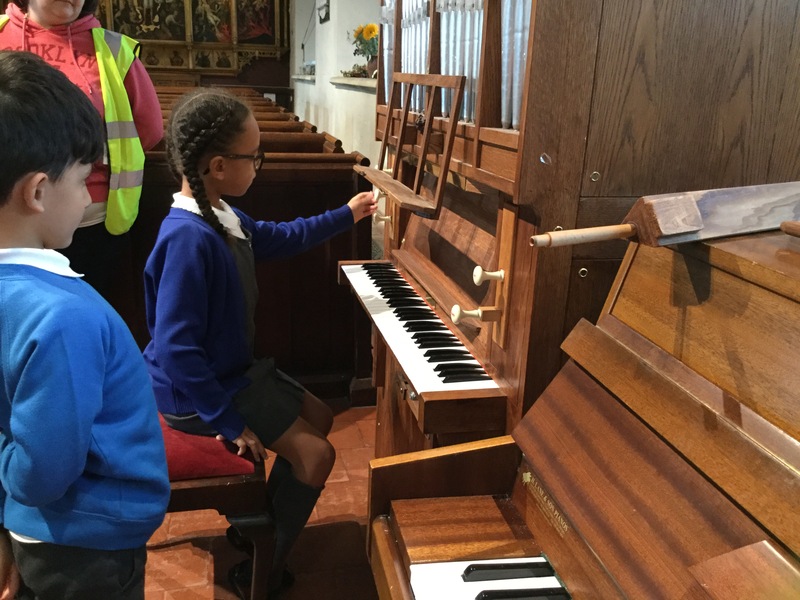 After teaching the children about the organ, each child was allowed to play the small organ. 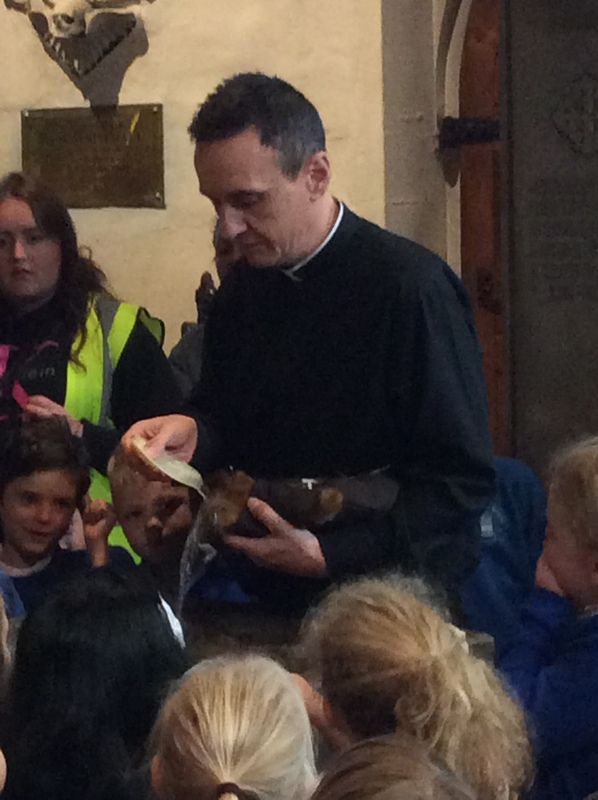 The children really enjoyed playing such a wonderful instrument. 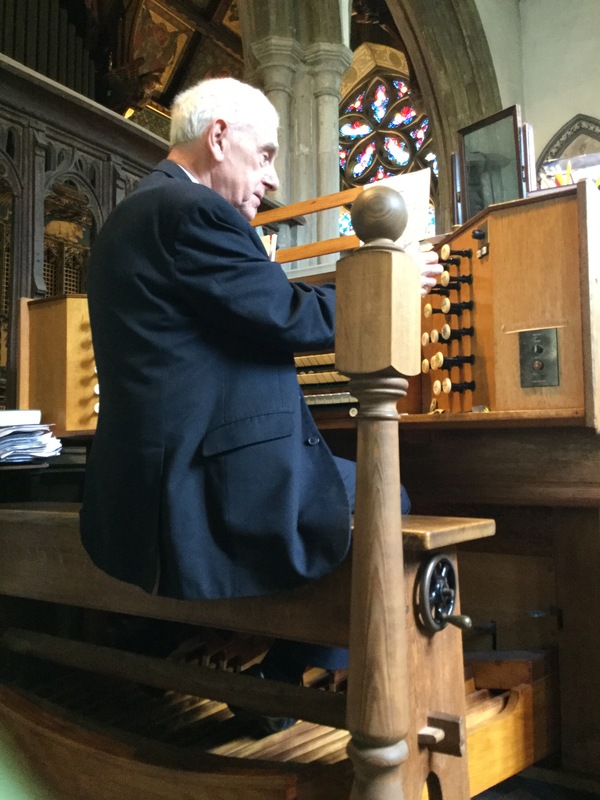 Barry also demonstrated how to play the large organ. 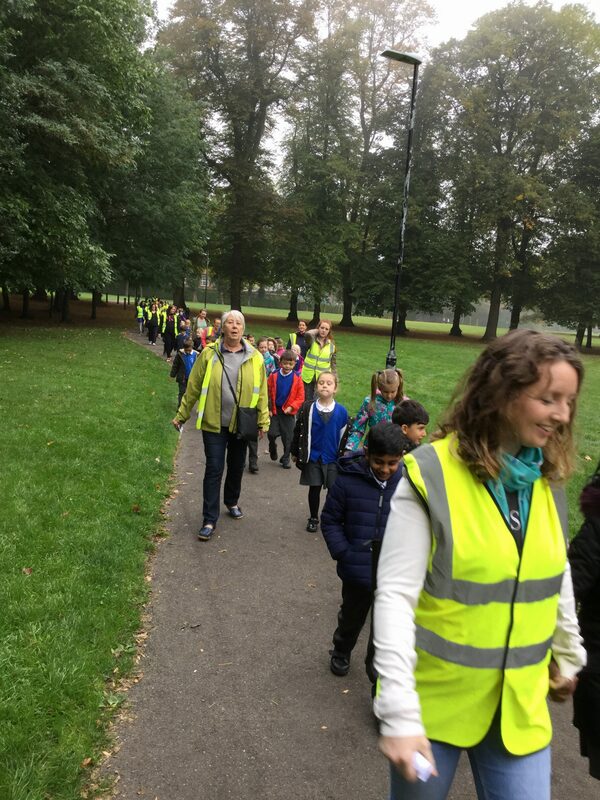 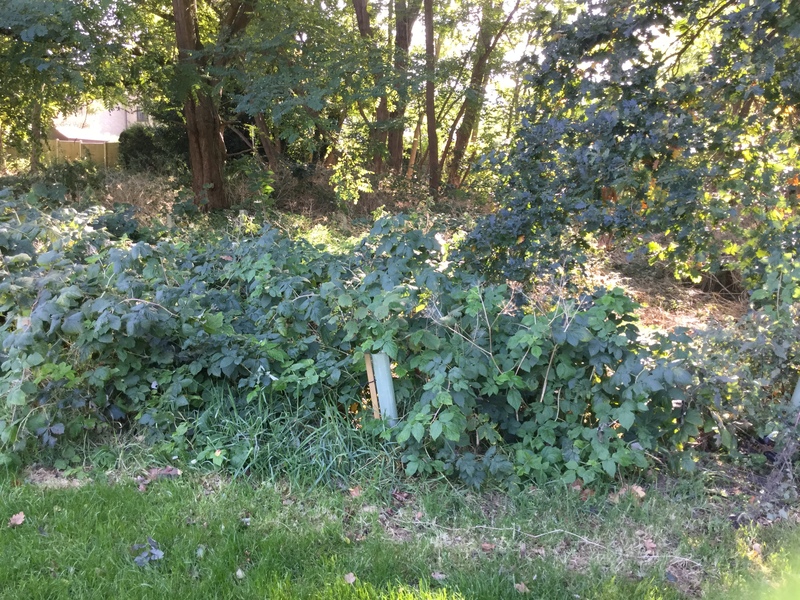 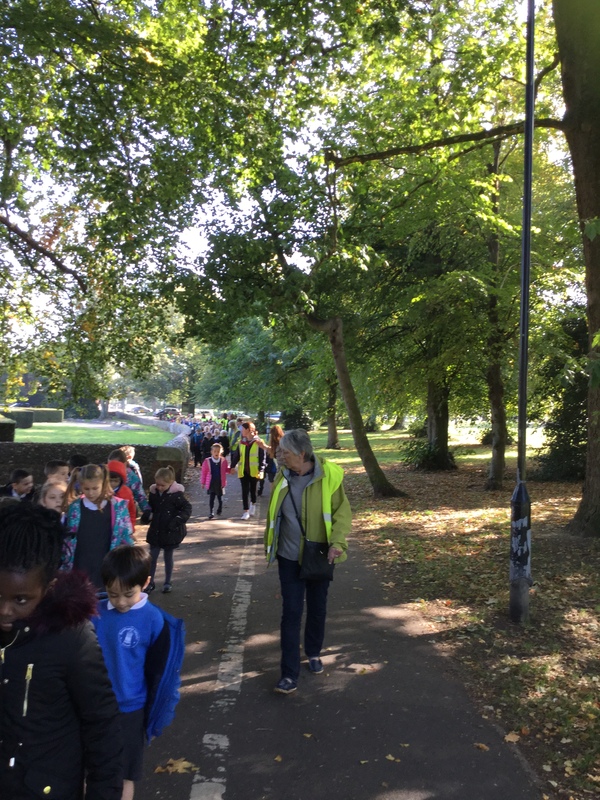 We walked back through Beddington Park and looked at the trees that the children in Year 2 last year planted. 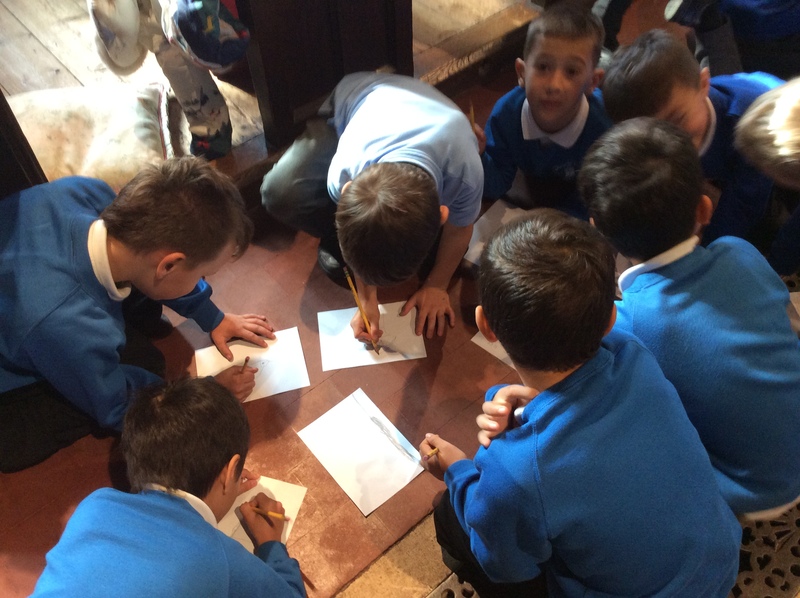 They had grown a lot!